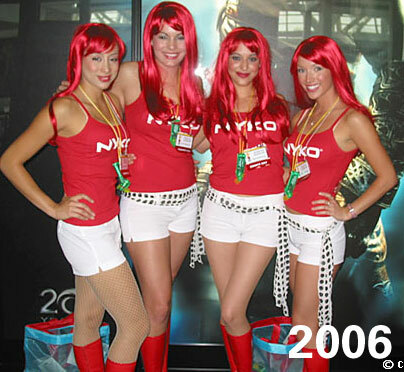 If you were worried that there wouldn't be any more booth babes at E3, well, the babes are still there, they're just covering up a little bit more this year because of the recent prudishness that has pervaded the trade show. We're thinking that it's what's inside the clothes—rather than the clothing itself—that makes the babe. But still. There must be some better booth babe shots than this. Send your booth babe shots to gizmodobox at gmail with the subject line BB and maybe we'll post one or two—guys and gals welcome!